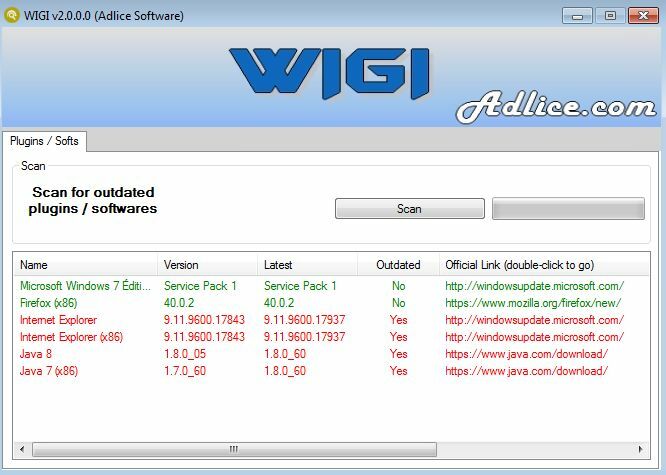 WIGI is a tool that scans for outdated software on your system that might present a security risk. Attackers can target unpatched vulnerable software on systems in order to infiltrate them or for other nefarious purposes. If you don't keep your operating system up to date, or a multitude of other third-party plug-ins and apps, you may be vulnerable. This app simply scans your system and shows you outdated and possibly risky software versions, and also supplies a link to update.